It’s anniversary time in Pyongyang. A mere 100 years ago this week former leader Kim Il-sung was born. This week in remembrance there have been speeches, parades and unintentional fireworks. In the lead-up to the celebrations international journalists were granted unheralded access to a rocket launch pad. The multi-stage device was set for a test late last week. In Japan people were concerned as the flight path may have traversed the nation. Across Asia people were holding their breath in advance of the launch. But within a minute of launch, the Unha-3 rocket and satellite payload broke up and fell into the Pacific Ocean before leaving the earth’s atmosphere. The failed test was the top search request on Baidu, the equivalent to Google in China. Yesterday in the midst of a parade at Kim Il-sung Square, the new leader of North Korea surprised his citizenry by making a speech. His predecessor and father – Kim Jong-il – spoke before the nation only once. In a calm and measured delivery, Kim Jong-un spoke about a range of issues from foreign policy to the legacy of his grandfather, Kim Il-sung. The speech was meant to demonstrate his firm control over the state in the aftermath of the embarrassing rocket failure. He addressed 100,000 people gathered in the square and the 24.3 million citizens tuned in via radio and television. During the parade that same day, a new long-range rocket was showcased. This was meant to be another show of power. Analysts now are trying to determine its power, range and authenticity. In other words – is it real or an elaborate hoax? The greatest concern is not the new rocket. Nor is it the possibility of another satellite launch. 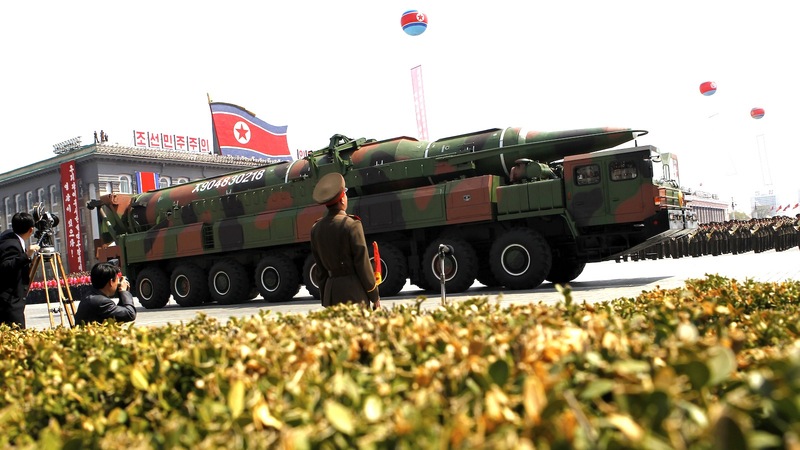 Instead some analysts predict that North Korea will conduct another test of a nuclear device. This occurred the last time a rocket failed at launch. These nuclear tests are not announced and are “guess-timated” in terms of size and power based on the seismic blast. In the aftermath of the South East Asia tremor and tsunami warning last week, the last thing people crave is another seismic event – particularly of the radioactive variety. But in politics and power in the Democratic Republic of Korea, men are judged by the range of their intercontinental ballistic missile. Nothing To Envy by Barbara Demick follows the lives of six people in North Korea. This non-fiction account of life in the pariah state makes fascinating and distressing reading. The Orphan Master’s Son by Adam Johnson is compelling fiction account of life in Pyongyang. It took me two days to devour the work and I wanted more. A must read!